The main conference programme of IBERGRID'2011 will start on Wednesday June 8th and finish on Friday June 10th. The exhibition of Posters will take place iun the Hall of the Palace from Wednesday the 8thiin the morning till Thursday the 9th in the afternoon. 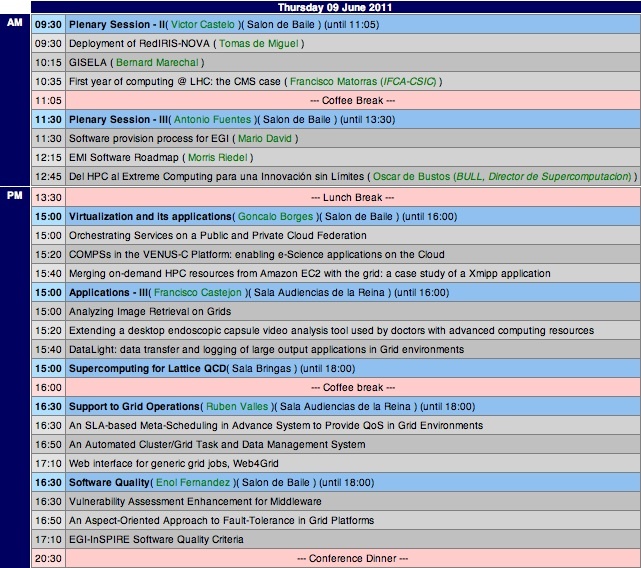 The Full Programme can be found on our INDICO server under IBERGRID 2011.